A growing number ofÂ Â lawful permanent residents (“LPRs” or “green card holders”) are relinquishing their status. According to the below article from South China Morning Post, the main reason is theÂ costly and complex U.S. tax system. Â Both U.S. citizens and permanent residents are taxed based on their worldwide income, including income earned abroad. As a result, they may be subject to double-taxation by the U.S and the country where the income is earned. U.S. citizens and permanent residentsÂ also must disclose the combined value of their personal overseas bank accounts if they exceed US $10,000 at any time in a given year. If you are a green card holder and you do not plan to live in the U.S., it may be wise to relinquish your status. This involves filing with U.S. Citizenship and Immigration Services (UCSIS) a Form I-407, Abandonment of Lawful Permanent Resident Status. You should also pay IRS the required “exit tax.” After relinquishing your green card, you may well qualify for a B1/B2 (visitor for business) visa. And, yes, our law firm can help with the I-407 and new visa application. Once a symbol of security in uncertain times, the US passport has lost its appeal for an increasing number of people in Asia and across the globe, who are giving up their citizenship in record numbers. For those in Hong Kong, the combination of relative political stability, growing regional economic opportunity, and increasingly complex and costly tax requirements are driving people to give up the safety net of US citizenship. In the last quarter of 2009, 502 people relinquished their citizenship or long-term permanent residency status in the United States, a nearly eight-fold increase compared with the last quarter in 2008, when 63 people did so, according to the US Federal Register, which publishes the names of such people on a quarterly basis. In recent years, the number of people worldwide giving up US citizenship or permanent residency has ranged from 22 to 144 people per quarter. The numbers dipped to double digits in 2008, when the government created an “exit tax” on assets that made it expensive for the wealthy to give up their passports or green cards. But the devaluation of assets, along with the economic crisis, has seen the expatriation rate shoot up over the past six months. An analysis by the South China Morning Post (SEHK: 0583, announcements, news) found that about 150 people with Chinese, South Korean or Japanese names gave up US citizenship in the last three months of 2009, including 87 with Chinese surnames. For the same period in 2008, only nine people with Chinese surnames did so. The rising numbers were a result of the costly and increasingly complex taxation system in the US, said Joseph Field, senior regional partner for Asia at the law firm Withers Worldwide, which works with clients from Hong Kong and Taiwan to navigate the complex American tax requirements for citizens living abroad. Field also noted that the global crackdown on offshore tax evasion has inadvertently had an impact on Americans living abroad in “dramatic and perhaps unfair” ways, especially for those who do not even know they are “US persons” in the eyes of the taxman. One example, Field said, was when people who, born of one American parent and a foreign parent, are considered US citizens. They may have never travelled to the US, learned English or obtained a passport, but they are subject to reporting and tax laws in the US. Another common case involves people who have a green card, but have been away from the US for so long that they can no longer use it to enter the country. But if they did not file forms to formally declare their expatriation with the US Internal Revenue Service, they may still be liable for taxes and reporting requirements. “This could apply to people living in Hong Kong or Taiwan who took a green card decades ago, out of fear because of possible political instability in the region, who never set foot in the US, who now could owe taxes or penalties for failure to file or for taxes owed,” Field said. “For immigration purposes, it’s dead. But for tax purposes, it may be very much alive, depending on the circumstances. There are an estimated 60,000 US citizens living in Hong Kong, according to the US State Department. There are also many Hong Kong residents who hold a US green card, or permanent residency status, though the department could not provide a specific number. 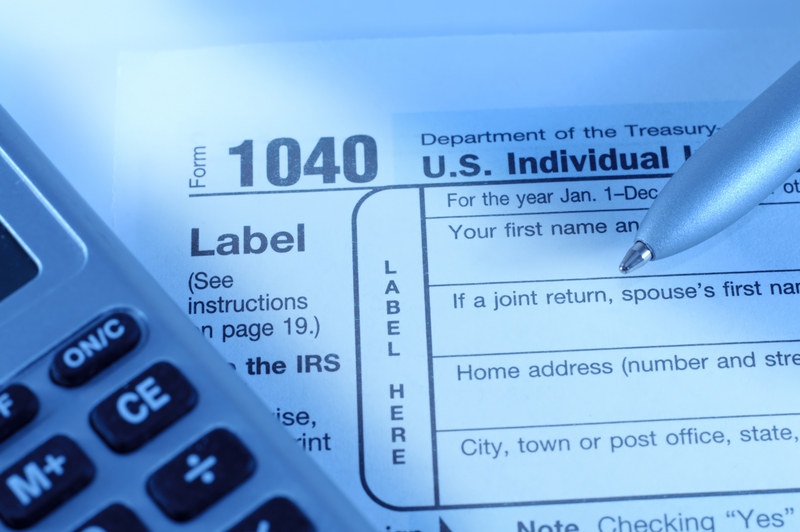 In addition to paying local taxes, these citizens and residents must regularly declare their earnings to the Internal Revenue Service, the tax enforcement arm of the US Treasury Department. The US is one of the few countries that taxes its citizens and permanent residents living abroad, and those who made more than US$91,400 in annual income are also subject to US taxes. US taxpayers must also disclose the combined value of their personal overseas bank accounts if they exceed US$10,000 at any time in a given year. Last month, US President Barack Obama signed legislation that forces foreign financial institutions, trusts and corporations to hand over information about their US clients. The new law imposes additional reporting requirements for people with foreign assets. Taxpayers must now report foreign assets cumulatively valued at more than US$50,000, including accounts in a non-US bank, non-US investments, and passive foreign investment companies. Failure to report could result in fines of US$10,000 or more, on top of the previous fines and penalties. And for some, the cost of compliance is no longer worth the benefits. “Now that I’m spending more time overseas, I definitely feel like people with green cards don’t enjoy the upside, but get all the downside,” said one Hong Kong-born, US green card holder. Educated in the US, she received an Ivy League education and has worked for prominent international firms in America and abroad. She has had a green card for most of her life, but has been weighing whether to give up her US status. The reasons, she said, ranged from the practical to the personal. “The universal taxation. That is actually a major disincentive. On the personal level, my family is in Hong Kong and they’ve decided not to retire in the States,” she said. Last month’s new tax rules were “definitely something that’s on my mind”, she said. “It creates the appearance that the paperwork and the hassle are going to be even more of a pain in the future. “Most people I know living in Hong Kong with US green cards, they all give it to accountants to do it. I know some friends who make special annual trips to the US just to talk to their US accountant. It is crazy. “A lot of people in the ’80s got citizenship because they were afraid of the handover. They didn’t know what awaited them in Hong Kong. But the handover has already taken place, and China is becoming more developed and stronger. And Hong Kong is so international and it’s politically and economically stable. You could argue that some of us are more marketable in the labour market here than we are in the US,” she said. “I actually have relatives who have moved back to Hong Kong. Update: Related article in N.Y. Times. (Hat tip to Alex Lau).